The Sensor remains the same but the new BIONZ X processor aims to reduce lag, increase image quality and do a better job with noise control. There is no information about the rolling shutter in the Sony α6500 yet; however being the same exact sensor it should see little difference unless the entire AD converter stack has been modified. We don’t think it will be fixed but it would be a nice surprise. As you can see above the image quality of the a6500 is outstanding in dynamic range and detail. Probably one of the better quality video images in any consumer camera. The body shape remains the same and that is not bad since it was compact and useful. Some users wanted a larger grip and more dials but the focus for Sony here is continuity and having a nearly identical body helps users feel right at home. The slow motion 120fps at 1080p full HD remains but now offers a selector to shoot from 1fps to 120fps in single frame increments so you could shoot 96fps, 72fps, 100fps if needed. We tend to push the frame rate as fast as possible when we need high speed video so this is of no impact, however it may help people that want intermediate frame rates like 18fps for kung fu fight like motion. The new touch screen 3″ 921.6k-Dot Tilting Touchscreen LCD is supposed to be the most sensitive and well designed in a compact ILC camera yet according to Sony and it lets you select tracking AF points including full 4k subject tracking which may be a feature that will be a highlight for buyers. The tracking AF looks less filmic that what Canon’s 1DX Mark II can do but that camera costs 4x as much. Canon has really done a great AF system with dual pixel continuous AF in their camera bodies. The new 5 Axis IBIS Sensor stabilizer in the α6500 can even work with Steadyshot stabilized lenses to offer even more hybrid stabilization. This is a feature not to be taken lightly as all your classic adapted lenses from other mounts will now be able to have stabilization of 2 to 2.5 fstops which can make these much more valuable. IBIS is probably the best new feature of the camera and one that a6300 owners wanted and simply didn’t get. New Menu System: Many people can’t stand the Sony interface menus and this new camera aims to fix all of this. 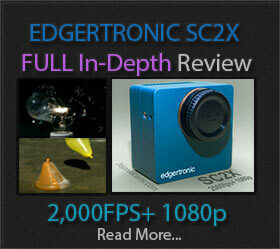 The video below by e PHOTOzine should show you what you can expect. For video Pros one of the menu pages is focused entirely on video settings so you don’t have to fiddle much to get a result quickly. I own the a6300 should I upgrade? According to Sony the a6500 at $1399.00 does not replace the a6300 which is $998 and both cameras remain in the line. However that may be a harder bit to swallow when you see a 40% increase in price for what equates to an almost identical image as they share the same sensor. However if you need a touchscreen, very good 4k video tracking, faster operation without lag and the excellent Steadyshot sensor stabilizer in camera then the a6500 is clearly the better camera. If you haven’t bought it and were about to pull the trigger then it is time to re-examine. We would rather have an a6500 with much more modern features like IBIS; than the now aging a6300 especially since the older model price is still the same. If you own an a6300 then selling it while the price remains high might be in the cards. We estimate an easy $750 at least if you sell it now and in good condition. Sony a6500 Slow Motion Buy? As a slow motion option both cameras a6300 vs a6500 should offer very similar or identical performance which is quite good but clearly under the Sony RX100 V which was also announced alongside the a6500. If you are all in for slow motion then the Sony RX100 V is the camera to get with larger buffer and very new technology with the downside of a 1″ sensor instead of APS-C that is. However the RX100 V is probably the camera to beat in 2016 for quality affordable slow motion. Did Sony alienate it’s consumers? A case can be made that Sony alienated the a6300 owners with the release of the a6500. However being 40% more expensive it is clear Sony is not replacing the model directly. The main argument is that in just 6mo the features added should have been present in the a6300 since the start and that is always a Moore’s law kind of phenomenon. You get better technology for a similar price as advancements push forward products. However 6 months seems to be very small a time frame. It could be that Sony should have renamed the a6500 something else like the a7000 to create a new line but that space is probably left empty to introduce a product with much more refinement. Consider the a6500 a kind of a6300 plus with IBIS and a touch screen. Refined quality and improvements all around but with very similar image quality. If the per pixel quality is all that you are after; the a6500 is probably not worth the upgrade if you own an a 6300. The differences if any will be minute. 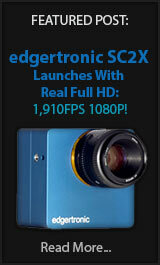 Previous PostNikon KeyMission 170 4K Does 240fps!Next PostManfrotto Befree Live New King Of Portable Video Heads! I just bought my sony A6500 but I cannot access 120 fps, the highest rate i can choose is 100fps with 60M. I just wonder can this problem be fixed with a firmware update. European PAL models only do 100fps. Maybe there is a setting to change to 60hz NTSC so you can access the full 120fps. Many cameras allow you to do this in the system settings.